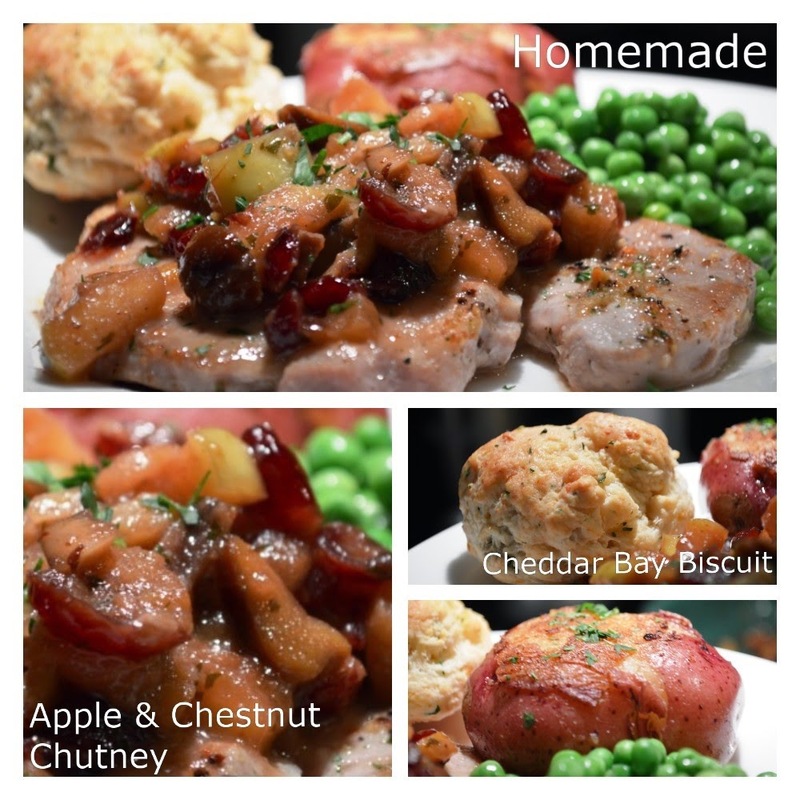 Thinly cut bone in pork chops, seared and covered in homemade apple, cranberry, chestnut and Chambord chutney along with smashed potato, peas and Cheddar Bay biscuit. Now that's a home cooked meal. That looks delicious! I know what recipes I will be googling. Did you try any of these? I'd love to hear what you thought of them.